There’s good reason VXi’s next generation TalkPro headsets are the talk of the speech recognition industry. In fact, there are a lot of good reasons. VXI’s TalkPro Computer Products provide superior hands-free audio input and output for Speech Recognition, Internet phone calling and general computer use. High quality noise canceling microphones can remove background noise, breath pops and other sounds that can adversely affect speech recognition. These headsets are specially designed for use with popular voice recognition software such as Dragon Naturally Speaking. They have a sleek, one-piece look that’s as sophisticated as the technology it houses. The latest VXi noise-canceling microphone technology for accurate audio performance. Wideband audio, for more natural, productivity-boosting sound quality. And the UC models add DSP (digital signal processing) and echo cancellation, ensuring the most precise and clearest audio for speech recognition and IP communications. 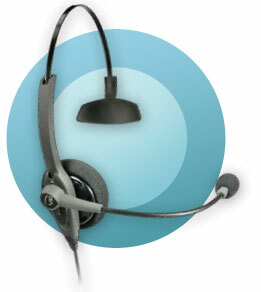 TalkPro headsets are perfect for contact center and office use too. And for mobile professionals, Skypers and road warriors. With seven models to choose from, there’s a TalkPro that’s just right for every need and every environment. Improved noise-canceling microphone ensures your application hears precisely what you say. Even more lightweight and comfortable, easy to wear all day long. Flexible microphone boom stays where you put it, for consistent, optimal voice quality. Plug-and-play ease of use means no drivers or software to install. Durably designed for all-day, every day use. A choice of models and wearing styles: monaural, binaural stereo and convertible. UC-ready when you are to fit right into your Unified Communications strategy. VXi TalkPro USB headsets feature a USB connection that plugs directly into a USB port on your computer, plus inline mute and volume control. The VXi TalkPro USB is available in monaural (VXi TalkPro USB1), binaural stereo (VXi TalkPro USB2) and convertible (VXi TalkPro USB3) wearing styles.